Belle’s family lived in Martinsburg, Virginia (present West Virginia) and owned six slaves, one of whom, Eliza, became Belle’s constant companion. Secretly, at night by candlelight, Belle defied the law by teaching Eliza to read and write. When Belle began her other secret adventures—spying on Union troops—Eliza reportedly helped by carrying messages to Confederates in a hollowed-out watchcase. 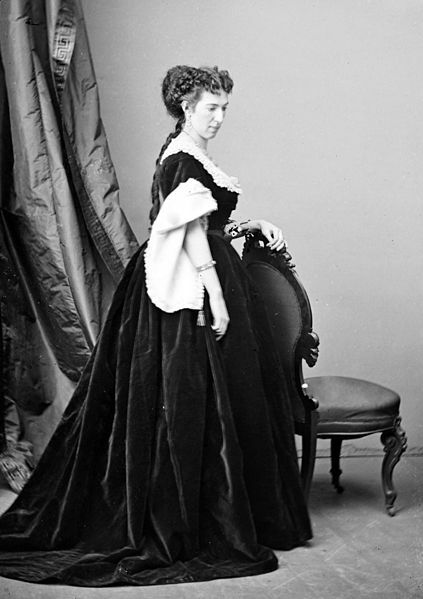 In Belle’s memoir Belle Boyd in Camp and Prison published in 1866, she relates a story that appears to signal the beginning of her involvement in the Civil War. The Union captured Martinsburg and while ransacking homes and businesses, a group of drunken soldiers invaded the Boyd home and tried to raise a Yankee flag. Mary Boyd, Belle’s mother, exclaimed, “Every member of my household will die before that flag shall be raised over us.” Belle continues the story by writing that one of the soldiers “addressed my mother and myself in language as offensive as it is possible to conceive. I could stand it no longer . . . we ladies are obliged to go armed in order to protect ourselves as best we might from insult and outrage.” Belle drew her Colt 45 pistol and killed the gentleman. The subsequent inquiry found Belle had “done perfectly right,” according to her account. For a brief period sentries posted around her home kept watch on her activities, which worked to Belle’s profit. She charmed secrets out of one of her overseers and related the information to Confederate officers—the beginning of her career as a spy. Union officials began to watch Belle’s activities, but she managed to take advantage of her minders’ sense of chivalry and their natural deference to “ladies” to gather detailed information on Union movements that she passed on to Confederate commanders. 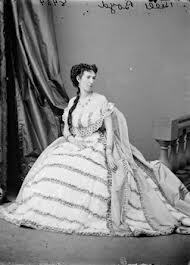 After visiting her father who was serving in what became known as the Stonewall Brigade, Belle began carrying messages between generals Jackson and P.G.T. Beauregard. In May 1862, probably while employed in a hotel owned by her relatives in the Shenandoah Valley town of Front Royal, she overheard plans to send Union forces east out of Front Royal, reducing the Union’s strength in the town. She rode that night; some accounts say fifteen miles through Union lines to pass the information to Confederate Major General Thomas J. “Stonewall” Jackson. When the Confederates advanced on Front Royal on May 23, Belle ran to the edge of town to meet Jackson and inform him of the light enemy strength. Jackson’s aide later described seeing a woman in white gliding swiftly out of town seeming to heed neither weeds nor fences, but waving a bonnet as she came. Belle claimed in her memoir, “Federal pickets . . . immediately fired upon me . . .rifle-balls flew thick and fast about me . . . numerous bullets whistled by my ears, several actually pierced different parts of my clothing.” Jackson captured Front Royal and wrote a personal letter of appreciation for Belle’s bravery. Some accounts say she received the Southern Cross of Honor. After being arrested in July 1862 and again the following year, she became known as the “Joan of Arc of the Confederacy.” She volunteered to carry Confederate papers to England aboard the blockade-runner Greyhound only to be stopped on May 10, 1864. She “managed” to escape, fled first to Canada, then on to London where she married Samuel W. Hardinge, one of the Union naval officers who had captured the Greyhound. Upon Hardinge’s return to the United States, he was jailed for aiding and abetting an enemy spy. Soon after his release, he either died mysteriously or disappeared. Belle remained in London where she wrote her two-volume memoir, gave birth to a daughter, and began a stage career. By the end of 1866 Belle retuned to the United States with her daughter and made her stage debut in St. Louis under the name of Nina Benjamin. Belle’s Texas connection began in 1868 when she acted in several plays in Houston and Galveston. She moved on to Austin when she gave several dramatic readings at the Texas postwar constitutional convention. Belle sampled domesticity in 1869 when she gave up her stage career to marry Dallas businessman, J. S. Hammond. Their union produced three children and lasted until 1884 when Belle divorced Hammond and two months later married the twenty-four-year-old stock-company actor, Nathaniel Rue High. Belle returned to the stage in 1886 under her maiden name, Belle Boyd, with High serving as her business manager. She opened her Toledo, Ohio, debut with the dramatic story of her exploits as a Confederate spy. She toured the country performing in a Confederate gray uniform and cavalry-style gray hat. In 1900, after ending a lecture with the dramatic words “one God, one flag, one people—forever,” Belle Boyd died of a heart attack. I loved this story, Myra. What a fascinating woman. Thanks. Belle captured me as well. Great story. Wonder what happened to Eliza. I also wonder how Eliza got a along after the war. So glad you liked it. I loved telling her story. Always enjoy your posts Myra and Belle sounds like one strong lady. Can’t believe all she accomplished in her lifetime and the chances she took. Thanks, Christine. I agree that Belle was an amazing lady. I loved telling her story. Very interesting. Photos are great! Thanks. I found the photos in the public domain. She looked so elegant. What an outstanding piece of Herstory! And a thoroughly enjoyable retelling.